I would like to thank you for your guidance and advice. Since last three years I wanted to expand my family but have two abortions. When I contacted you, you advised to do some Lal Kitab remedies. The remedies were simple and on 18/01/2012, I gave birth to a male child. I want to convey my gratitude and thanks for your useful advice. I have contact you many times in the past three years and feel you are extremely accurate in your predictions. I have seen a great improvement in my business since I took your advise. You predicted that my marriage will took place before April 2012 and your prediction came absolutely true and my marriage was solemnized in February 2012. I am amazed at your command over astrology. I was facing severe joint pain since last 4-5 years and after following remedies suggested by you, I have got immense relief. Thanks and may God bless you. Acharya Ji, accept my gratitude and special thanks. With your blessings and guidance, I got job in a government hospital and also felt improvement in family environment. Dear Vikas Malhotra Ji I am very satisfied with the clarity of thoughts and explanations given by you. Your remedies are simple and inexpensive and they proved to be very useful in getting a very good job post retirement. Hello Mr. Vikas Ji Thanks for your valuable advice and guidance. I was aiming to clear departmental promotional examination from a long time but my efforts were not yielding desired results. After undertaking two to three simple Lal Kitab remedies suggested by you, I have not only cleared the examination but also performed well in interview and got promotion in September 2011. Apart from a good astrologer, you are a good human being. I feel good upon talking with you. The gems provided by you are of good quality and I have seen a drastic improvement in my business since wearing them. I want to specially thank you for your valuable counseling and astrological advice. My child’s health has improved since I have carried out astrological remedies suggested by you. God bless you and may God give you more strength to help more and more people. The remedial measures suggested by you are simple and effective. I particularly liked your style of confirming the birth time through important events and lines on the palm. Thanks for your valuable advice and counseling. Acharya Ji, on behalf of me and my family, I want to convey my sincere thanks for your guidance and advice. I was in deep depression due to constant worry about my health. I have consulted two three astrologers before meeting you also who suggested expensive remedies and wearing of gems. I do not have resources at my disposal to carry such remedies. At that time you provided simple and effective remedies and that too by charging no price for your services. I have recovered completely now and although I cannot express my gratitude towards you in words but I would like to thank you for all your support and guidance. I would like to thank you for your professional attitude and commitment for your profession. I got good marks in my Masters examination at UK, all made possible through your advice and counseling. Yantra means instrument or machine. It is based purely on scientific principles which make use of five elements namely earth, water, fire, sky and air. Deities are worshiped in different forms and each form is linked to a yantra. Yantra makes use of signs and writings to remove a planets malefic effects and increase its beneficial aspects. Yantras are also used for enhancing the quality of life, to attract prosperity and abundance, even love, to heal and relieve health problems, to protect oneself from negative forces and so on. We have many yantras like Shri Yantra, Kaal Sarpa Dosha Nivarak Yantra, Kurm Prishtya Shri Yantra, Vaastu dosha nivarak yantra etc. You can contact us for purchasing any of the Yantras. A specific yantra for removal of your problem could also be made. Shivlinga or Shiva lingam connects a devotee with the Supreme Being – Lord Shiva. The lingam is the symbol of Lord Shiva and the lingam puja helps the devotee in connecting with Him. Lord Shiva cannot be described but still we say He is without a beginning and an end and is without a form. It is difficult for a devotee to understand this formless nature. Therefore Lord Shiva appeared in the form of Jyotirlinga before Brahma and Vishnu. The Lingam thus is a symbol of Lord Shiva. Each Lingam puja, step by step, takes the devotee to the eternal truth that he or she is a part of the Supreme Being. Narmadeshwar Shivlinga/Bana Linga are obtained from the river Narmada in Madhya Pradesh. Narmadeshwar Shivlinga is considered very auspicious as they are made naturally in the river bed. It is believed that where there is Narmadeshwar Shivling Lord Shiva Himself resides there.One can get rid of all ailments by performing daily pooja of Narmadeshwar Shivlinga to achieve success in life. Narmadeshwar Shivlinga/Bana Linga are obtained from the river Narmada in Madhya Pradesh. Narmadeshwar Shivlinga is considered very auspicious as they are made naturally in the river bed. It is believed that where there is Narmadeshwar Shivling Lord Shiva Himself resides there. One can get rid of all ailments by performing daily pooja of Narmadeshwar Shivlinga to achieve success in life. The Sacred Narmada River is one of the Sapta Gangas – Seven Holy Rivers of India. In India in various legends, thinkers identify it with “Reva” of epic celebrity, which is described as the “sweat” flowing out of Lord Shiva’s own body when He performed his Cosmic Dance “Tandava” and therefore considered as holiest of rivers. Its waters are of such purifying quality that the polluted River Ganges makes a yearly visit to the Narmada in the form of a black cow or a dark woman for a purifying dip in the Sacred Narmada River, to cleanse her collected sins. On the river bank of the Narmada is the Omkareshwar, the most famous among the twelve Jyothirlingas. Many Vedic Scriptures propound that the natural Narmada Banalingas are self-manifest representations of Lord Shiva. What Shaligrams are to Lord Vishnu that Narmada Banalingas are to Lord Shiva. The Narmada Bana Lingam’s upright oval shape represents the Pure Consciousness of Lord Shiva and the holy markings on the Sacred Stone (which differ greatly from stone to stone) represent the interactive aspect of Goddess Shakti (The Holy Consort of Lord Shiva), the Divine Seed which is fertilized to manifest the Creative Power in the Dance of the Cosmos. Together, they represent the Union of the Supreme Male and Supreme Female Energies – Shiva and Shakti. Thus Narmadeshwar Shivlinga represents the divine blending of Knowledge (Shiva) and Wisdom (Shakti). They are naturally formed due to the flow of Narmada river. There is a legend associated with Narmadeshwar Shiv Linga for which it is known as Bana Linga. The Asura Raja (Demon King) Bana was the eldest of the one hundred sons of Bali – Bali was the son of King Virochana, the grandson of Prahaladha (the famous devotee of Lord Maha Vishnu’s incarnation, Lord Narasimha) and the great grandson of King Hiranyakasipu. King Banasura himself was a great devotee of Lord Shiva and to seek the Divine Blessings of Lord Shiva, he performed severe penances for a long time, in the Holy Himalayas, invoking Lord Shiva’s favour. Finally Lord Shiva appeared in answer to his austerities and agreed to grant him a boon. Banasura wished for himself One Thousand Arms carrying a multitude of weapons to destroy his enemies and desired that Goddess Parvathi consider him as her own son – he was bestowed with what he asked. Drunk with power and arrogance, the Demon King started torturing all the three worlds. Honoring the requests of the Devas and Lord Indra, Lord Krishna severed all the one thousand arms of Banasura and the weapons he was holding, with his Sri Sudharsana Chakra, the Divine Disc. However, Lord Shiva honored the Demon King (who was, inspite of being an Asura, was an ardent devotee of Lord Shiva) by giving him his own representation in the form of Swayambu (natural, self-manifest) Shiva Linga, hence the name Bana Linga. Lord Shiva is reckoned among the Tridevas (trimity). Brahma is the creator, Lord Vishnu is the preserver and Lord Shiva is the destroyer. Shiva is the lord of Shakti also. Shiva is named as Pashupati which means the Lord of all living beings either it is humans, devas, asuras or any creatures. Another name Mahadeva depicts the great God, supreme in all devas(Gods). Narmadeshwar Shivlinga is a manifestation of Lord Shiva and it helps the deity in connecting with the supreme Lord Shiva. It is not possible to describe the benefits a person could get through worshipping Lord Shiva through Narmadeshwar Shivlinga. Some of the benefits are discussed here for the benefit of all people associated with us. Numerous Scriptures acknowledge the superior merits of the Bana Lingams and extol the unsurpassed virtues of them, in bestowing many great benefits. The “Yajnavalkya Samhita” states that the benefits that can be obtained by worshipping a crore of other Shivalingas are obtained by worshipping just one Bana Linga. It is said that merely thinking about their Bana Linga early in the morning itself is likely to bestow success in all their enterprises of the day. It is also said that the Narmadeshwar Shivlinga secure worldly welfare as well as emancipation from worldly involvement. It is the considered view of many that the Narmada Shiva/Bana Lingams wash off sins and curses. The Narmadeshwar Shiva Linga works with the breath and the fluids of the body creating a harmony in the body’s flow. The Narmada Bana Linga helps one to unite the lower self (conscious) with the higher self (unconscious) so that we may know our own divinity as we seek to know God. It brings believers into the mystical union with God. It heals and helps opening the chakras to resolve issues. It helps in activating the kundalini energy and the seven chakras. It awakens the energy centers and brings feelings of peace and wellbeing. It enhances personal or group meditations for clearer flow of energies. It balances and brings harmony to its surrounding environment, after cleansing the prevailing negative energies. Narmadeshwar Shivlinga has mysterious power in it that induces concentration of the mind and help in focussing ones attention. That is why the ancient sages and seers of India suggested for worship of Shiv linga so that a devotee can connect with Lord Shiva. Narmadeshwar Shivlinga also helps in maintaining the cordial relation between husband and wife. Couples who keep Narmadeshwar Shivling in their home are blessed with Lord Shiva’s blessings. I think and strongly believe that Narmadeshwar Shivling is a must in every home. Whatever is offered to Narmadeshwar Shivlinga with devotion can be taken as prasad by the devotee. Narmadeshwar shivlinga also helps in getting the blessings of Lord Saturn and the devotee gets peace and prosperity. I believe that what matters most is the devotion of an individual towards Lord Shiva. The way of worship may have some shortcomings but I would suggest that you should worship Him with full devotion and sincerity and pray to Him to have His blessings on you and your family. Lord Shiva gets impressed very soon and if you are sincere and worship Him with full devotion, you will definitely receive His blessings. You can offer normal plain water or Ganga Jal on the Narmadeshwar Shivlinga. You can also offer raw milk on Monday on the ShivLinga. Apart from this if a person consult with his or her horoscope, specific remedies through worshiping Lord Shiva using Narmadeshwar Shivlinga could be suggested to maximize results. You can contact Lal Kitab Astro Centre (LKAC) for getting genuine and Abhimantrit Narmadeshwar Shivlinga. Introduction – What is Gomati Chakra and where they are found? Gomati Chakras are a rare natural product, a form of shell stone, and is found in Gomati River in Dwarka, Gujarat in India. Gomati Chakra resembles the Sudarshana Chakra (divine weapon) or Discus of Lord Krishna. It is used as a Yantra for different work and is also used in worship of Lord Har and Hari. I have found them to be very effective in warding off negative thoughts and negative energy surrounding a person. It is very useful for small children in protecting them from evil eye. One side of the Gomati Chakra is elevated like a shell while the other side is flat with circular design like whirl which looks like a snake. This is the reason why it is also known as "Nag-Chakra" i.e. snake chakra. According to Vedic Astrology, Gomati Chakras are also beneficial for people who have Nag Dosha or Sarpa Dosha in their horoscope. Gomati Chakras are believed to bring good luck and they are also used in spiritual and Tantric rituals. It is believed that those people who possess Gomati Chakra will be blessed with money, good health and prosperity. Nowadays each and every person is facing lot of problems in his or her domestic as well as professional life. Gomati Chakras prove to be very useful in dealing with such problems. Even if an individual do not have any major problems in his life but he wants to achieve growth in his life and want to avoid future problems, then the use of Gomati Chakras is highly recommended. They act as protective shield to the person using them. It is however necessary that they are Abhimantrit/Energized with suitable mantras so that they are able to serve their purpose. Here I am giving you some general benefits of Gomati Chakras. They have innumerable benefits and looking at the planetary combination in the horoscope of an individual and analyzing his or her problem, specific remedies using Gomati Chakras are suggested by Lal Kitab Astro Centre (LKAC). Here for the benefit of all people associated with us, I am sharing some general benefits of Gomati Chakras but it should be ensured that they should be duly energized before their use. Gomati Chakra removes Vaastu Dosha - For this purpose, 11 Gomati Chakras are buried in the foundation of the building to bless the residents with long life and prosperity and also negate the evil effect of Vaastu Dosha. Gomati Chakras help in pleasing Maa Lakshmi – For this purpose, 7 Gomati Chakras are wrapped in red cloth and kept in lockers or cash box to ensure the blessings of Goddess Lakshmi - the goddess of Wealth. Gomati Chakras can also be wrapped in a red cloth and placed in rice or wheat containers for the food safety. Gomati Chakra is also worshipped on the Diwali along with Goddess Lakshmi. Gomati Chakras are treated as lucky charm and they are also used as hanging on the main door of house, shops, office etc for peace, happiness and prosperity. If an individual faces illness very frequently or if somebody in the family is experiencing an ailment from an extended period, then take one Abhimantrit Gomati Chakra, attach it in a string, and tie this string around the patients mattress. Gomati Chakra repels fear, sharpens decision making power and enhances will power. When it is worn in a necklace, it makes you feel energetic and enhances your self confidence. Gomati Chakras removes the impact of Evil eye on your child - If a child is affected by evil eye frequently, then go to a deserted place and move 3 Abhimantrit Gomati Chakra from the head of child seven times (anti clockwise) and throw them their and come to your house without looking back. Do it four to five times and you will find that your child is saved from evil eye to a great extent. Gomati Chakras are crucial in growth of your business – If you think that growth in your business is obstructed due to bad or evil eye of any person, then you should take 11 Abhimantrit Gomati Chakra with 3 Coconut (used for Puja). Do Puja of Gomati Chakras and Coconut and then tie them in a yellow cloth and hang them in your entrance. It will save your business from evil eye. If Abhimantrit Gomati Chakras are installed after worshipping them along with Maa Lakshmi at the time of Diwali and other auspicious occasions, it will give you abundant wealth and will also open ways to stabilize your hard earned income. 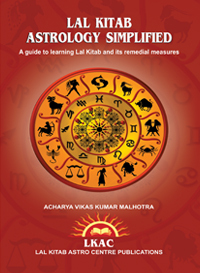 You can get Abhimantrit/Energized Gomati Chakras from LAL KITAB ASTRO CENTRE (LKAC). Detailed procedure and required materials for installing and worshipping them like Sphatik Mala, Specific cloth and specific mantra to be recited for solution of your specific problem is given by us under the guidance of Acharya Ji. We energize & consecrate your "Gomati Chakras" before sending or delivering to you, as per your specific objective. Shree Yantra has two alphabets. Shree means “Wealth” and Yantra means "Instrument". Shree Yantra thus is an instrument for getting wealth. Shree Yantra brings about material and spiritual wealth. Shree Yantra has that unexplained power to fulfill all our wishes and change our life for the better. Shree Yantra is definitely the answer to all the problems and negativity in our life. Shree Yantra is highly sensitive and has magnificent magnetic powers. Shree Yantra is said to be a divine store-house of energy which pick up particular cosmic ray wave emitted by the planets and other universal objects and transform them into constructive vibrations. Shree Yantra can be chiseled out of a crystal piece, engraved on crystal, precious stones, on copper or silver metal in plain or elevated plans, but out of all these Shree Yantras, the Yantra which is dug out of crystal, chiseled minutely in an elevated form i.e. in Meru Form is regarded as the best of all. The advantage of having Sphatik/Crystal Shree Yantra is that Sphatik is known to take away all negative energy and bring serenity and peace. Shree Yantra is the highest authority when it comes to bringing success in social status and in business. Sphatik Shree Yantra is a handcrafted pyramid that catches radiant white light energy and reflects back rainbows. The power of the Sphatik Shree Yantra lies in the pointed apex of the pyramid that represents the doubled powers of Trinity. The more pointed the apex, the stronger are its powers of healing. Shree Yantra helps in breaking down obstacles and negativities. According to Hindu Shastras, Shree Yantra is considered very auspicious. If Shree Yantra is built on a Bhoj Patra, its life is considered to be 6 years and if it is built on Silver Patra it is considered to have a life of 25 years. If it is prepared on Gold Patra, its life is considered as 100 years but if is built of Sphatik or Crystal, it is considered to have eternal life. It acts as a conductor of energy and blesses the individuals with wealth, name, peace and harmony. There are lots of negative energies around us which stand in our way of achieving success. Shree Yantra helps us break through the energy fields to attain clarity in thought and action. 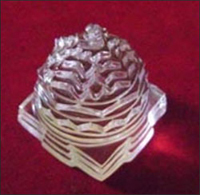 An individual who worships a Sphatik Shree Yantra grows spiritually and materialistically. It can also be placed in the study room of children who lack concentration or are not very quick in studies. Many times we find that life is out of our control. We find ourselves in a position of Extreme stress , lack of peace and harmony , high degree of anxiety , friction in relationship with others , bad investments , faltering business , stagnation in life and profession , decreasing financial prospects , insecure feeling , repeated failures and sheer bad luck. Though we give our best efforts, hard work, and intelligence and do a work with good intentions but still we are not able to accomplish our objectives. In these cases, Sphatik Shree Yantra would help us in getting desired success, wealth and prosperity. It is very important that “Sphatik Shree Yantra” is energized otherwise it would not yield desired results. At Lal Kitab Astro Centre (LKAC) we ensure that all Sphatik/Crystal Shree Yantra are duly energized according to your desired purpose so that it is able to give expected results. Such energized Yantra balances & harmonize the aura around you and will remove the negative energy, therefore when you place this in your home or office, the place is purified by the power of crystal and the mystical geometry will bless you with success and wealth. It is very auspicious to install an “Energized/Abhimantrit Sphatik Shree Yantra” around Diwali and especially on Dhan Teras in your home or office. It helps in getting the blessings of Maa Lakshmi and you can yourself see an increase in your wealth and prosperity. Worship Maa Lakshmi using Abhimantrit Shree Yantra reciting and listening to Shree Sukta. The Puranic katha is that once Lakshmiji went back to Vaikuntha, from earth as Bhrigu Rishi insulted Lord Vishnu by putting his foot on Lord’s chest to test who is best among Brahma, Vishnu and Mahesh. She was so angry that she decided that she will not descend on earth. In her absence the earth suffered all kinds of shortages, famines, droughts, scarcities. Shree Hari Vishnu and Vashishta muni tried to persuade Her to return to earth but failed. Then, Guru Brahaspati devised and designed the ‘Shree Yantra’and advised its worship to attract Devi Lakshmi. Shree Lakshmiji returned to the earth and revealed, “Shree Yantra " is my foundation, my soul resides in this Yantra and by the Aavahan of Yantra, I had to return.” The day on which Shri Yantra was worshipped was the day of Dhan Teras. Therefore it is considered very auspicious to install Shree Yantra on Dhan Teras. According to Indian Astrology, Sphatik is associated to the Planet Venus (Planet of love). Maa Lakshmi is the divine Goddess for Planet Venus and through installing Energized and Prana Prathishtit Shree Yantra can improve the results of Planet Venus in your horoscope. The tip of the Shree Yantra is called the aerial or antenna in scientific term and is called Mahatripur Sundari which means Niwas Sthan (home) of Sampoorna (all) Devis and Devtas (God and Goddess) in religious term. "Shree Yantra" is said to be the Yantra-Raj, the king of all Yantras. Shree Yantra is depiction of Maa Lakshmi. Devotion of Shree Yantra blesses the devotee with all the fruitful results in his/her life. One may get wealth, property, wisdom, fame and reputation in the society. The native gets the similar results of its devotion as similar to the results of the darshans of Tirths (sacred places). Just by the darshan of Shree Yantra, all poverties and hurdles are removed. One may be blessed with peace of mind, healthy and wealthy life, and liberation from birth-death cycle. There is no other Yantra in this world with the potential equivalent to this Yantra. Apart from the above benefits, Shree Yantra helps in breaking down obstacles and negativities. It helps us break through the energy fields to attain clarity in thought and action. An individual who worships a Sphatik Shree Yantra grows spiritually and materialistically. On Diwali, you can worship Shree Yantra reciting Lakshmi Ashthotra Shatnaamwali with 108 lotus flowers. This will help in removal of your past sins. If any person has done some Tantra on you or you are affected by evil eye or totka of any person, then you should worship Abhimantrit Sphatik Divine Shree Yantra with milk, gangajal, cow ghee, coconut water, and honey. It will help in removing Tantrik impact on you. Puja should be done in night starting from Diwali and should be done regularly with full faith till impact of Tantra or Totka is over. There are many more divine uses of Sphatik Shree Yantra and if a person consult with his or her specific problem, then specific remedies using Energized Shree Yantra could be suggested looking at various planetary combinations in the horoscope. "Vaastu Doshas" get corrected automatically, if at the time of starting the construction of a new house, Shri Yantra along with a silver coin, Druva, Haldi, Chandan, Pushpa, Akshat etc. is dig under at the Brahma Sthana (central place) of the plot region. Light a Deepak everyday in front of Shri Yantra at your home, shop, office, factory or work place to get rid of loans. If your house is already constructed and you feel that it is not being made according to rules of Vaastu, then you must have Shree Yantra along with Dakshinavarti Shankh for correcting such Vaastu dosha. Sthaapana of Sphatik Shree Yantra in office or home is usually done on Friday. But before that you should soak the Shree Yantra in saline water over night. Saline water cleans all the negativity from Sphatik. After that take Sphatik Shri Yantra out of water and wash it by normal water and keep it at dry place under sunlight for some hours. After that you can take it to do spiritual worship. Keep Sphatik Shree Yantra on one plate and wash it by mixture of saffron and milk, and then water. Wash it again with new fresh water. Sprinkle water and light incense, then place one yellow cloth or gold or silver sheet on the place where you are going to keep Sphatik Shree Yantra then chant Aim Hreem Namah. Put Sandal paste or Kumkum and coral mala on Shree Yantra. You must also place Shivlinga near Sphatik Shree Yantra while doing Pran Prathistha. Offer Gur (jaggery), yellow flowers, incense, and raw turmeric to Shree Yantra. Chant this mantra for 108 times with rosary mala "Om Shreem Hreem Namah". Under the divine blessings of our Acharya Ji, we proudly announce introduction of Divine Sampurna Mahalaxmi Mahayantra which our respected Acharya Ji term as King of Yantras. It is a must have yantra for everyone, whether it is an individual or corporate or a small trader or businessman. This yantra attracts money, wealth and treasures and bestow good luck and fortune for the individual. This yantra is energized under the supervision of our Guru Ji, Acharya Shri Vikas Malhotra ji who has divine spiritual powers and today regarded as master of spiritual healing. People from all over the world take blessings of Acharya Ji through phone and personal consultation for removal of their physical and mental problems. This yantra is made in an attractive frame and after energization its power increases manifold. Acharya Ji recommend establishment of this yantra in every house for getting wealth and prosperity. It is necessary that this yantra is properly energized otherwise it would not have desired effect. This energization has to be carried out on the basis of your name and gotra in an auspicious muhurta. It has the power and blessings of Maa Laxmi - the goddess of Money, Wealth and Prosperity. This yantra is called Sampoorna Mahalaxmi Mahayantram because it is the king of yantras and complete in itself. It is prepared by combining four most powerful yantras consisting of Sri Ganesh Yantra, Sri Yantra, Sri Kuber Yantra and Sri Kanakdhara Yantra. This yantra also help people living in high debt to clear their debts. This yantra give thousands of benefits. It would be useful to know its components because it is a powerful combination of four yantras. The first is Ganesha Yantra which is crucial in getting the blessings of Lord Ganesha. It is said that Lord Ganesha should be worshipped before all the Gods as He got the boon from Lord Shiva that He will be worshipped before all Gods as he has circumblated Lord Shiva and Maa Parvati before His brother Lord Kartikeya. Lord Ganesha is also known as Vighnaharta and with His help, all the obstacles and problems are eliminated. This Ganesha yantra thus removes obstacles in your life. The second is Shree Yantra that helps in getting the blessings of Maa Lakshmi. Acharya Ji in his articles has discussed in detail the importance of Shree Yantra in getting wealth and prosperity. Shree means wealth and Yantra means instrument. Thus this yantra is an instrument for getting wealth. Shree Yantra is used by rulers, leaders, entrepreneurs and managers to get power and financial success in their ventures. Kuber Yantra, the third yantra in the above mahayantra represents Lord Kuber who is the God of Wealth and Treasures. Kuber Yantra blesses the worshiper with wealth and prosperity. The worshiper of this Yantra will never have lack of money and material comforts. In many cases, I have seen that worship of Kuber yantra help the worshipper in getting ancestral property and sudden wealth. The fourth yantra is Kanakdhara Yantra that helps in getting immense wealth, prosperity and luck. Establishing Kanakdhara Yantra in the home will bring good luck for you.We would like to share a mythological story relating to Kanakdhara yantra which we as followers got a chance to listen while doing our prayer and meditation practices at Lal Kitab Astro Centre (LKAC). One day Adi Guru Shankaracharya sought some food from a house, all he got were sad tears and sighs of the lady of the house. On enquiry the Guru was appalled to hear that there was nothing to eat in that house except for a dry gooseberry, which the lady readily offered to him because she wanted not to turn away a Sanyasi empty handed from her door. Touched by her selflessness Shankar propitiated Goddess Kanakdhara (Maa Laxmi) and opened the doors to fortune for improvised family. So, many avenues of earning opened up suddenly that it seemed that a river of Gold had been diverted to the house.Goddess Kanakdhara is worshipped through this Yantra. The problems like debt, failures in business etc. get rectified with the use of this Yantra. This energized Mahayantra is available at a nominal amount of Rs. 2100 (within India) and US$ 100 (courier charges extra) for overseas clients. Courier charges would be Rs. 300 (within India). For knowing courier charges outside India, you can write an email to us describing specifically the place where energized yantra has to be delivered. You can transfer the amount in our bank account for which you can visit payment information link of our website. People living outside India can contact at our email address for knowing the exact price of the yantra. Detailed procedure of establishing yantra, time at which it should be installed and manner of worshipping it and individual mantra would be emailed to the lucky devotees. Please note that due to scarcity of time, our learned pandits are able to energize few yantras only under the supervision of Acharya Ji. Therefore this yantra is offered only on first come first serve basis. Nature has given us many valuable products. Each and every object produced by nature has some or the other purpose. There are many products which are very beneficial for us but we are not able to use them as we do not have knowledge about them. Today I am going to discuss with you one of the rare products of nature, i.e. Yellow Kaudi/Peeli Kowdi also known as Yellow Cowrie shells. They are naturally formed shells that are considered rare and sacred. Today every person wants to have wealth so that he or she is able to lead a good life. There are many persons who work very hard but are not able to earn and save according to their abilities. Many persons in their emails and consultation have told me that they are not able to save money despite earning good money. Most of their money goes waste on treatment of their near and dear ones or on unnecessary expenses. For all such persons, I am giving you a very useful remedy in the form of Yellow Kauri which they can use as per the given advice to them. It is necessary that Yellow kauris are energized with the mantras of Mahalakshmi and Lord Vishnu so that they can give their desired results. There are many more tantric uses of Yellow Kauri which are advised looking at the planetary combinations and other divisional charts of the individual. I am not discussing them here as there are thousands of quacks who used to just copy and paste the information in our articles and website without understanding the logic behind such remedies and manner in which such remedies have to be done. They may misuse such information to the detriment of others. So I am dealing with most common uses of Energized yellow kauri for the benefit of all. First of all I would like to deal with the importance of yellow kaudi. 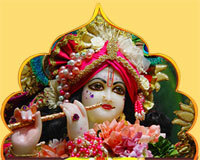 They are used in the worship of Maa Lakshmi and Lord Vishnu. They are also used in tantric sadhna for worshipping Maa Baglamukhi. Lal Kitab has also dealt with many uses of Yellow kauri especially for getting rid of various rinas (debts) in the horoscope. Astrologically speaking, Yellow Kaudi is used so that benefits of Planet Jupiter which is very crucial in getting wealth and prosperity could be attained and at the same time they are crucial in reducing the malefic aspects of Rahu and Ketu. You must have heard the story of how Rahu and Ketu took birth during samudra manthan (sea churning) when Lord Vishnu took the “Mohini Avtar” and through His Sudarshan chakra divided Rahu demon into Rahu and Ketu. Lord Vishnu and Maa Lakshmi gave benefit of worshipping yellow kauris by saving an individual and his family from malefic aspects of Rahu and Ketu. I would recommend each and every person associated with us or reading this post to install energized yellow kauri in their house on the auspicious occasion of Dhanteras or Akshay Triteeya. You can keep them in your pooja place also so that they can ensure free flow of money. They also help in getting the blessings of Lord Kuber and money is multiplied many times the amount earned. It is necessary that after getting them energized, they should be kept in odd numbers like (1,3,5,7,9,11 and so on) wrapped in a new yellow cloth. They should be properly energized and for people getting these energized kauri from our centre also get a secret mantra which is the key to unlock your destiny. The recitation of mantra increases the effectiveness of these shells many times. First of all they help in accumulating the savings and exercise control on unnecessary expenditure. Secondly they open new venues for earning money. For this you can keep 11 energized yellow kauri wrapped in a yellow cloth in your house temple or locker. They help in getting blessings of Maa Lakshmi and Lord Vishnu. There are many people who are not able to save money. They are advised to keep 21 energized yellow cowrie shells in the North West corner of their house. Cowries are also used as tool to save children from evil and negativity. These are kept in the cash box or money lockers for financial prosperity and protection from financial debacles. Keeping three energized yellow kauri in your pocket or purse helps in generating more business and success at work place. Keeping yellow Kauri in your pocket/wallet/purse will also save you from evil eye. For getting genuine and energized Yellow kauris, you can contact our LAL KITAB ASTRO CENTRE (LKAC). We feel our privilege in introducing Divine and Energized Shree Sampurna Vyapar Vridhi Yantram under the guidance of our Acharya Shree Vikas Kumar Malhotra ji. This yantram is a must for all businessmen. As the name implies Vyapar means business and Vriddhi means increase. Thus this Yantra increases sales, turnover and profits in business or profession, and blesses the owner or holder of this Yantra with success, progress and prosperity in work & career. Whatever your business may be, you may be a small trader or a big businessman, the above yantram is must for you as it will ensure increase in your sales and wealth generation. The uniqueness of this yantram is that it gives the blessings of Lord Ganesha, Maa Lakhsmi, Maa Saraswati, and Lord Kuber who is regarded as the treasurer of all wealth. This yantra is energized with the mantras of all deities based on your gotra and the uniqueness of this yantra is that it has the capability to remove dosha relating to any planet. It has Navgrah yantram included in it and it also removes any Vaastu dosha in your house. Overall this yantra is so powerful that it includes twelve yantras apart from Vyapar Vridhi Yantram. This yantra is made under the guidance of our Acharya Ji who has knowledge of tantra, mantra and yantra. Acharya Ji says that this yantra is exceptional because it not only increases your business resulting in higher wealth creation but at the same time it gives you peace of mind and happiness also. Acharya ji insisted on including Sukh Smridhi Yantram and Shree Gita Yantram in it so that it motivates you to work hard, do your work and surrendering results on God as visualized by Lord Krishna in Geeta where he asks Arjun to concentrate on his Karma and leave the fruits of such Karmas on HIM. There are many people who are struggling under heavy debt and loans. Shree Kanakdhara yantram included in this yantra would help them in repaying their debt. 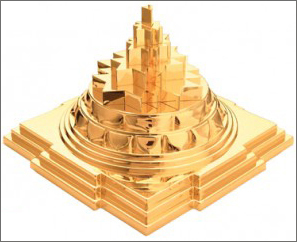 Shree Sampurna Vyapar Vridhi Yantram is a gold plated yantra which is framed and moulded in such a manner that it helps in getting the blessings of deities of all yantras. Vyapar Vridhi Yantram is at its centre and apart from it; the following are the twelve yantras which are included in it to make it so powerful that it leads to improvement in your business. This Yantra should be installed in the East, North or the North - East direction of office, business premises or factory. You can also install in temple of your office or business premises. This energized Mahayantra is available at a nominal amount of Rs. 2100 (within India) and US$ 100 (courier charges extra) for overseas clients. Courier charges would be Rs. 400 (within India). For knowing courier charges outside India, you can write an email to us describing specifically the place where energized yantra has to be delivered. You can transfer the amount in our bank account for which you can visit payment information link of our website. People living outside India can contact at our email address for knowing the exact price of the yantra. The detailed procedure of establishing this yantra, time at which it should be installed, how to worship it and individual beej mantra to be chanted for its maximum benefits would be emailed to each and every person getting this yantra from us.